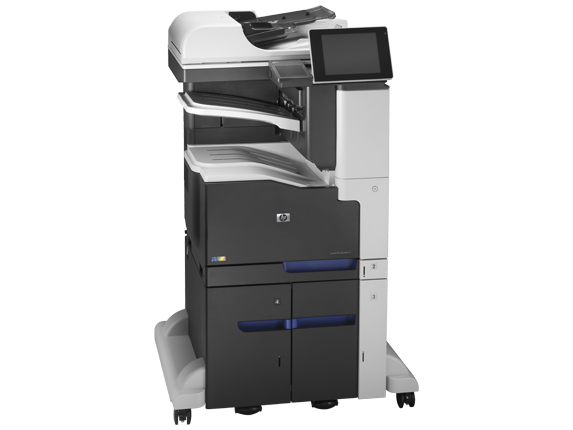 Get standout A3 colour, robust scanning features, and high-volume paper capacity in a versatile MFP. 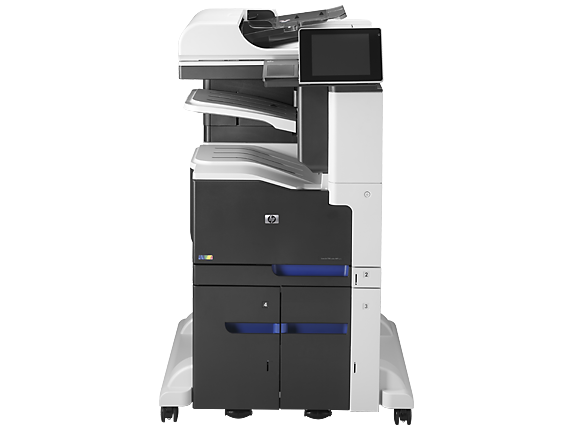 Fax capabilities are available with an optional fax card on the HP LaserJet Enterprise 700 color MFP M775dn. 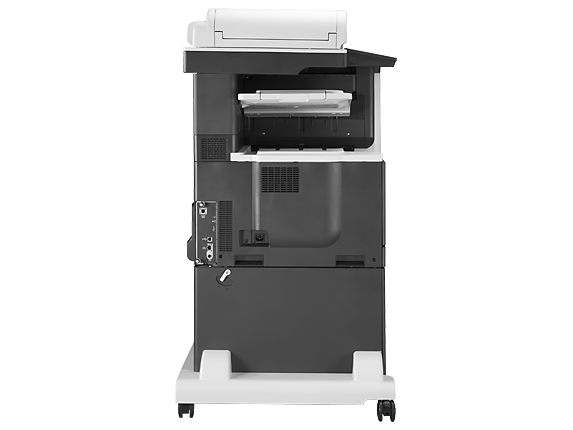 Maximum paper capacity of 4,350 sheets is available only on the M775dn with the addition of the optional 3,500-sheet feeder and stand and optional 500-sheet tray. Colour access control capabilities vary from device to device. 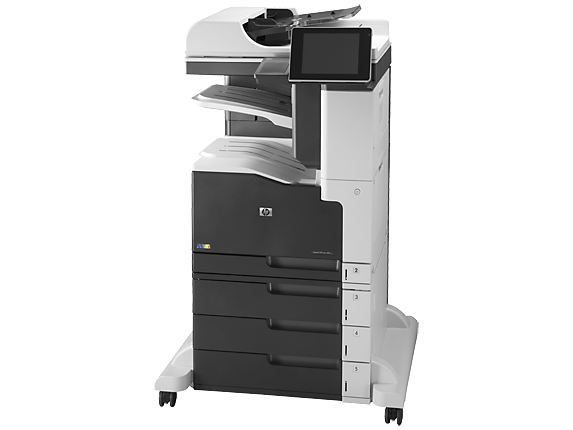 Addional digital sending capabilities are available via HP Digital Sending Software which must be purchased separately. Savings from Instant-on Technology, compared with products that use traditional fusing and from Instant-on Copy, when compared with products that use traditional fusing and cold cathode fluorescent lamp copying. Requires an Internet connection to the printer. Feature works with any connected Internet- and e-mail -capable device. Requires HP Web Services Account Registration. Print times may vary. For a list of supported documents, and image types, see http://www.hp.com/go/eprintcenter. And for additional solutions, see http://www.hp.com/go/mobile-printing-solutions. Supports the following devices running iOS 4.2 or later: iPad®, iPad® 2, iPhone® (3GS or later), iPod touch® (3rd generation or later). 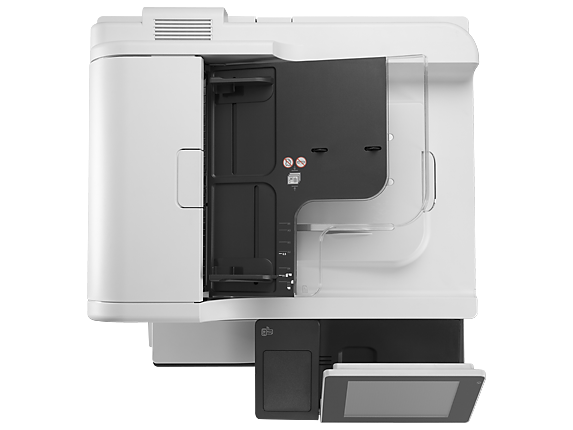 Works with HP’s AirPrint™ enabled printers and requires the printer be connected to the same network as your iOS device. Wireless performance is dependent upon physical environment and distance from the access point. Declared yield value in accordance with ISO/IEC 19798. Actual yields vary considerably based on images printed and other factors. For more information, visit http://www.hp.com/go/learnaboutsupplies.